Two adults died in a structure fire in Fields Landing this morning, according to Humboldt Bay Fire. Firefighters got the call at about 2:30 a.m. reporting a structure fire at a residence on the 600 block of South Bay Depot Drive. According to a press release, fire crews arrived to find moderate smoke coming from the residence, which was a 70-foot long railroad box car converted into a living space that accommodated five occupants. 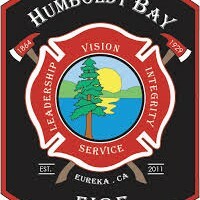 According to the press release, three made it out safely prior to Humboldt Bay Fire's arrival on scene. Firefighters found the other two deceased in the residence after extinguishing the fire. The cause of the blaze is still under investigation and the identities of the victims have not yet been released. 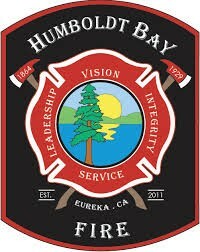 On April 4, 2014 at approximately 2:30 AM Humboldt Bay Firefighters responded three engines, one ladder truck and two chief officers to a reported structure fire at 650 South Bay Depot Drive in Fields Landing. At time of dispatch it was unknown if the structure was occupied. The first arriving engine found moderate smoke coming from windows and entry door of a 70 foot long railroad boxcar which had been converted to a residence. At the time of the fire there were five occupants inside, three of which were able to escape. Upon arrival of the first engine company, one of the occupants who had safely exited reported there were still two adults unaccounted for. Fire crews made entry, extinguished the fire and located the two remaining occupants, both of which succumbed to injuries sustained in the fire. Additionally, the inside of the residence was heavily damaged by fire, smoke, and water resulting in a total loss of its contents. The American Red Cross responded and is assisting affected individuals with shelter, food, clothing, toiletries and prescriptions as necessary. The cause of the fire is presently under investigation.